The international Maritime Organisation (IMO) has this month worked with Liberia to enhance maritime security and assisted Mauritania with port security training. Personnel from the UN’s specialist maritime agency also joined government officials from 26 African states and other regional and global organisations in Yaoundé to evaluate the success of a code of conduct dealing with maritime crime in west and central Africa. 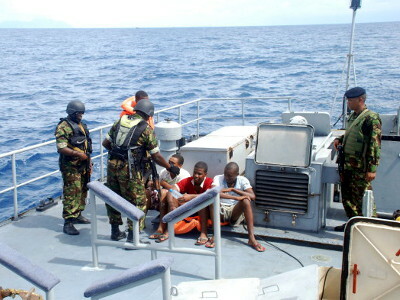 The Yaoundé Code of Conduct was signed in 2013 by 25 west and central African countries to address piracy, armed robbery against ships and other illicit maritime activity in the area. One of its provisions calls for its effectiveness to be evaluated, with a view to transforming it into a legally binding agreement. This took place in the Cameroonian capital. The IMO is assisting Liberia in developing a national maritime strategy and a week-long fact-finding mission with senior government officials was the first port of call. Based on the findings, a proposal will be presented to Liberia suggesting the best way forward. A clear objective is to encourage collaboration and a multi-agency approach to maritime security in the west African country. Liberia is signatory to both the Yaoundé code of conduct and to a memorandum of understanding between and IMO and the Maritime Organisation for West and Central Africa which addresses establishment of an integrated coast guard network for the area. Mauritanian port officials gathered in the capital Nouakchott for a week-long course equipping them with the skills to carry out effective self-assessments and audits of port facilities, in line with IMO’s International Ship and Port Facility Security (ISPS) Code and guidance on voluntary self-assessment.